In our last blog posts related to Back to Basics Series we discussed about Virtual Machine Files (Part1), Standard Switches (Part2), vCenter Server (Part 3),Templates (Part4) vApp (Part 5), Migration (Part 6),Cloning (Part 7), Host Profiles (Part 8), Virtual Volumes AKA VVOL's (Part 9) Fault Tolerance (Part10) ,Distributed Switches (Part 11) and Distributed Resource Scheduler Part 12 we also discussed about the various tasks related to building Home Lab Part1, Part 2, Part 3,Part 4 Part 5. 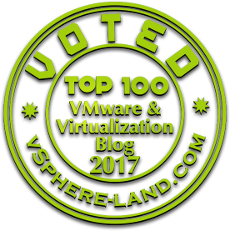 Dedicated this article to talk about an important feature that has been added in VMware vSphere 6.5 wherein the vCenter Server provides us the option to achieve high availability. 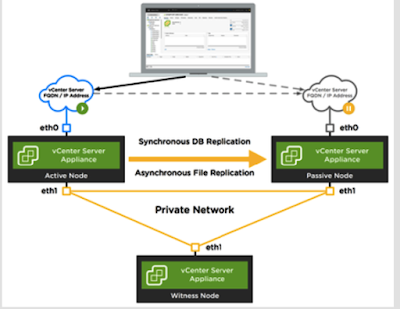 vCenter Server high availability provides us protection against host and hardware failures and helps us to reduce the overall downtime required when patching the vCenter Server appliance which can be done using the <codeph>software-packages</codeph> utility available in the vCenter Server Appliance shell. Before proceeding with the deployment of vCenter Server in High availability mode we need to ensure we are configuring the network well in advance for which we need to add a port group to each ESXi host, and add a virtual NIC to the vCenter Server Appliance. 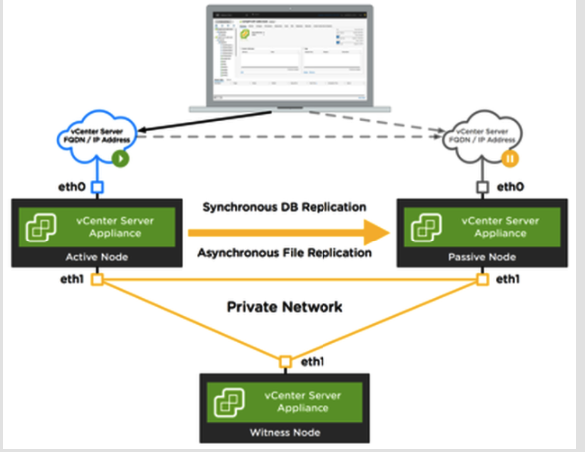 When achieving the High Availability for vCenter Server each of the nodes plays an important part where in the active node runs the active vCenter Server appliance instance and communicates with other nodes over a dedicated HA network, passive node acts as a cloned copy of active node and becomes active in case of any failures detected for active node, the last node on our list is witness node which helps us to avoid any split brain scenarios. During the configuration of High availability we get two options i.e Basic in which the vCenter HA wizard automatically creates and configures a second network adapter on the vCenter Server Appliance, clones the Active node, and configures the vCenter HA network, the next option which is advance option gives us more flexibility over basic option wherein we are responsible for adding a second NIC to the vCenter Server Appliance, cloning the Active node to the Passive and Witness nodes, and configuring the clones.